I need to do squid configuration thrugh LDAP. For that I need to bind the users from windows 2003. I am getting an error while LDAP configuration. 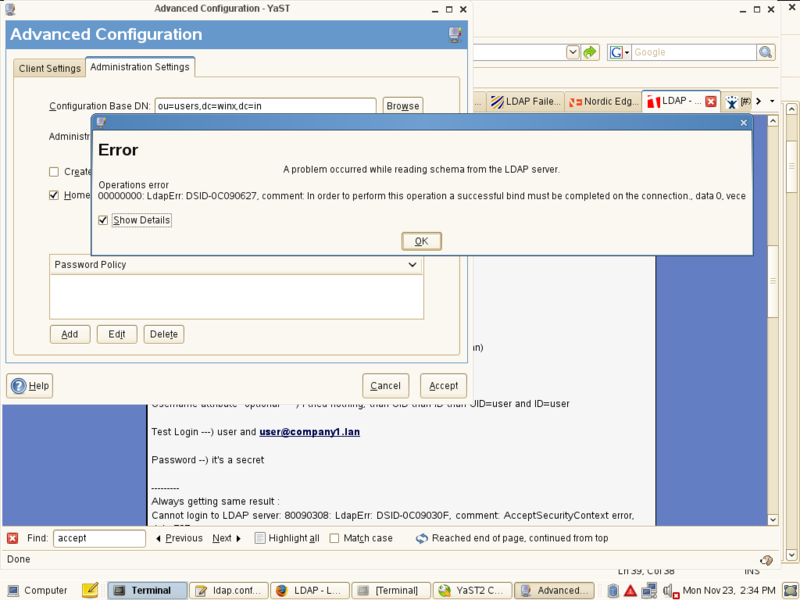 "A problem occured while reading schema from LDAP server. DSID: 0c090627, In order to perform this operation a successfull bind must be completed on the connection, data 0." How to bind the users from linux.